Crowdfunding, or any form of group fundraising, used to refer to startups and individual projects seeking investors. 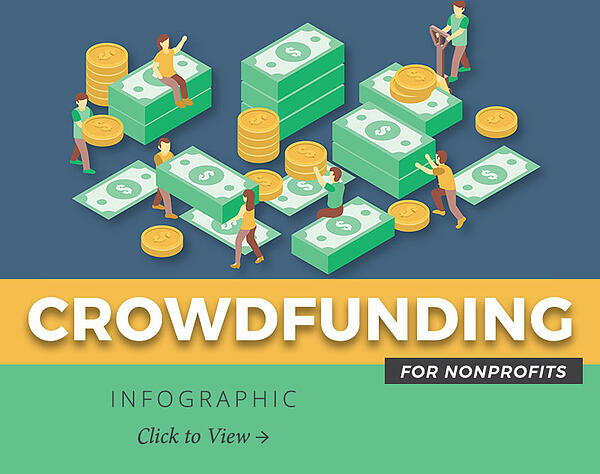 Today, online crowdfunding sites (think Kickstarter and GoFundMe) have expanded to give individuals and organizations alike the power to create simple online support campaigns. Nonprofits are beginning to buttress traditional development strategies with online crowdfunding. In 2015, the crowdfunding industry raised over $17 billion in the United States alone. By 2025, crowdfunded donations are projected to reach nearly $100 billion. Yes, the iron is hot! Could your nonprofit benefit from the rise of crowdfunding? Read on for an infographic detailing trends and tips to get the most out of this unique fundraising opportunity. Let's take a closer look at a few of the proposed strategies. 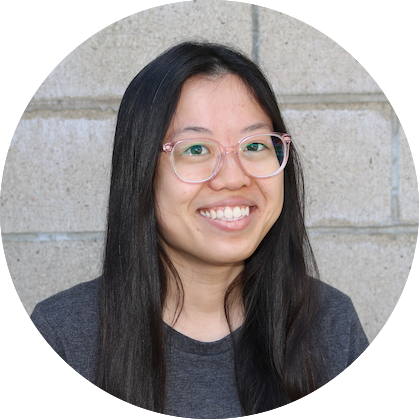 Today's supporters are looking for interactive, meaningful ways to engage with your story. As a result, it's no surprise crowdfunding pages raise four times more money when the page includes a video of the cause. 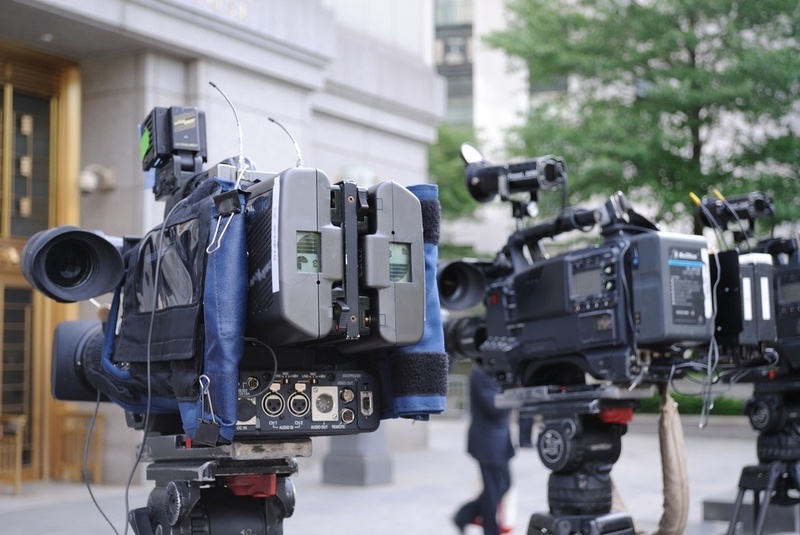 Keep videos short (under 2 minutes) and use images and testimonials that pack a punch. People not only want to know where their money is going, they appreciate updates on the campaign's progress. It's just satisfying to reach the finish line or cross that last item off the to-do list. Include progress trackers and thermometers on your site as helpful visual aids, and periodically post updates on the campaign on your website and social media. Knowing how far - or how little! - there is to go just may encourage donors to give a little more. 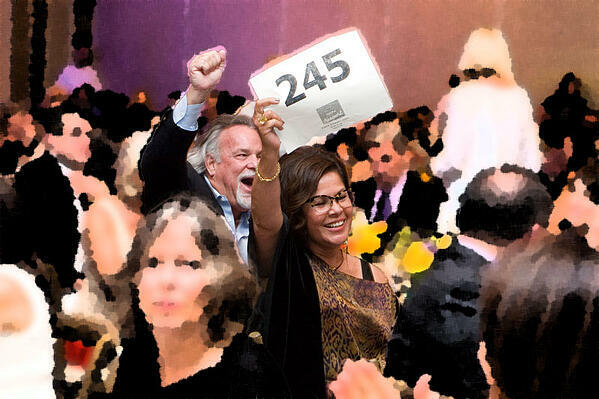 If you're hosting a live auction, traditional bid cards still beat mobile donations when it comes to the fund-a-need. However, the principles of crowdfunding remain. Most important among them: Promote one specific, urgent need, and track progress toward the goal. 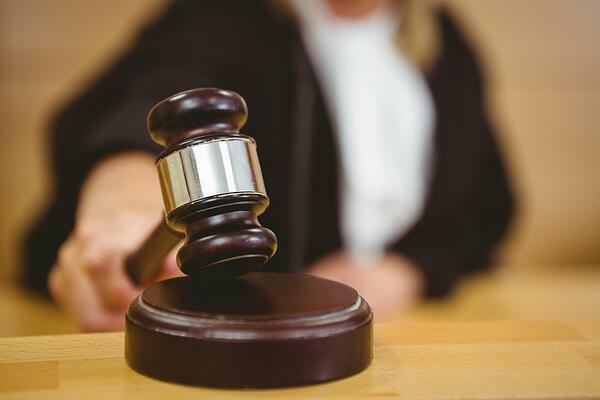 In today's digital landscape, the legal issues brought up by an online crowdfunding site can be far more complex than setting up the campaign itself. For example, if your nonprofit is in one state but using a platform based in another, and getting donors from across the country... you may need to register prior to solicitation in all related states. The process can take some legwork, but far less so than trying to get out of hot water.